At first glance these flatworm could easily be mistaken for nudibranchs. Flatworms also have a very flattened body and dazzling colors. However they don't have tentacles (rhinophores) nor gills. Read about mimicry. 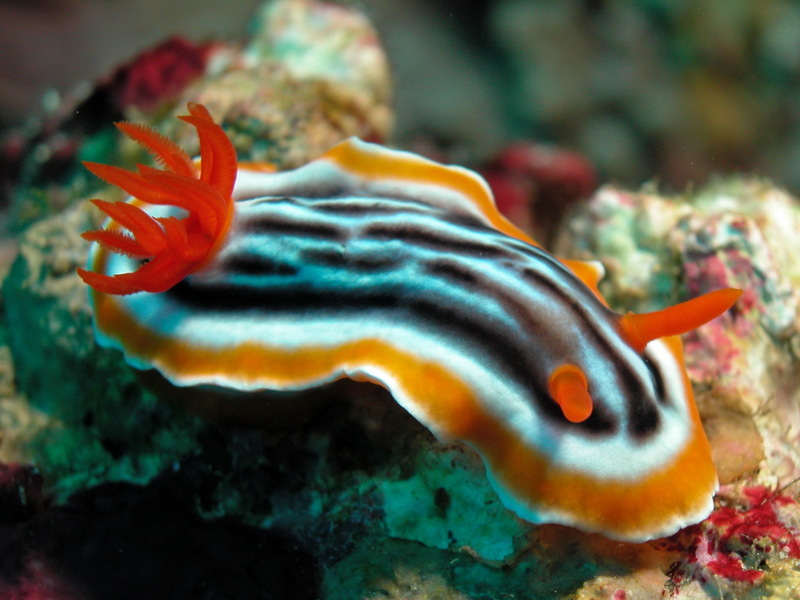 This nudibranch which looks alike is a Chromodoris magnifica.